5 Best Drones With Obstacle Avoidance [Fall 2017] Starting at $300 ! Do you know that feeling when you are flying your drone all around and you are trying to max out its speed in a narrow pathway… only to crash it against a branch and witness it falling down from 50 feet high into its doom? Well, it doesn’t have to be that way anymore. Did you guys know that some of the premium drones on the market come with specialized obstacle avoidance sensors that allow them to notice and quickly react to a potential collision in the next couple of seconds. These systems on drones with obstacle avoidance are highly balanced and work more often than not… But they are pricey as well. So, if you would like to buy a drone that comes with this awesome new high tech feature, then you must make sure you pick out the right one. So, with that in mind, I have prepared for you a list of top 5 best drones with built-in obstacle avoidance systems that allow them to detect and maneuver around obstacles that could cause them to crash. Want to know more? Well, take a closer look at the drones on the list down below! What does Obstacle/collision avoidance represent? The basis of obstacle avoidance (AKA collision avoidance) systems is pretty self-explanatory. It’s a combination of hardware and software gimmicks that, combined, make up for a comprehensive system that will keep the drone away from any potential mid-air threats. This includes any type of obstacle it might encounter. Instead of crashing straight into it, a drone equipped with obstacle avoidance system will overthrow user’s input and take full control of the drone, effectively evading the threat. While this sounds really interesting (and awesome) in theory, the question is – how good is it in real flying tests? Well, this all comes down to the collision avoidance technology a particular drone uses. That’s why I’m going to tell you more about the most common ones down below! So, let’s cut with the nonsense here and jump straight to the discussion about modern day obstacle avoidance systems used in small UAVs. What is collision avoidance based on? If we are taking into consideration all types of drone out there (including mainstream, professional-grade and DIY models), there are several key technologies that are being implemented into working obstacle/collision avoidance systems. The first and, by far, the most widespread method are sonar sensors which include a wide variety of subtypes such as ultrasonic sensors, laser rangefinders, lidar (laser imaging) and more. Another technology that hasn’t been around for too long is made by the computer giant – Intel. This technology is called RealSense and it works in an amazing way. You can find more info on it down below! This technology incorporates an abundance of sensors including ultrasonic, lidar, terrain detectors and more. Then, the software does its share of work and combines all data in real time and orders drone to avoid all obstacles upon detection. Most commonly, there are sensors located on the bottom, front, back and even top of drones, making sure it is protected from all angles. If, by any chance, your drone detects an immediate collision, it will forget about your input and fly straight away from the potential POI (point of impact). Intel RealSense technology is much newer than sonar sensors. It hasn’t been in the sUAV market for too long. If we are to be more precise here, Intel made its entrance to this market last year when the first drone with RealSense technology came out. Of course, I am talking about none other than Yuneec Typhoon H, an almighty hexacopter (it is featured in the list below, don’t worry… there’s a lot of useful insight about it there) which is making an excellent name for itself on the market. What Intel RealSense technology does is it essentially incorporates 2 binocular infrared cameras that work in a “stereo” fashion in order to create a perception of depth for their software to further analyze. In other words, Intel RealSense technology takes obstacle avoidance one step further and implements state-of-the-art technology to create a highly reliable drone flying experience by greatly reducing the risk of potential collisions. In practice – how reliable is this technology? In theory, you have to agree all these technologies seem absolutely brilliant. They all allow your drone one simple thing – avoid potentially harmful contacts with debris, objects and any other type of obstacles that could get in their way. Needless to say, this means you will not have to pay that much attention to actually flying your drone. Instead, you will be able to focus solely on capturing the perfect shots and aerial videos. It’s as simple as that. However, you cannot expect this technology to be 100% accurate. Even though, in most cases, obstacle avoidance systems will do their part and keep your drone out of any harm, they will still be endangered if you fly recklessly. Other than that, it’s also noteworthy to add that traditional sonar sensors (virtually any type of them) have difficulties detecting thin obstacles such as branches, string, net and that sort of stuff. What this means is that they might not be that effective if you are surrounded by those objects. If that’s the case, then opting for Yuneec Typhoon H is a good solution since Intel RealSense doesn’t have those issues. The first collision avoidance drone on this list is actually quite a bit cheaper than the rest of those that will be featured later on. Truth be told, its features cannot even be compared to those of the premium models. 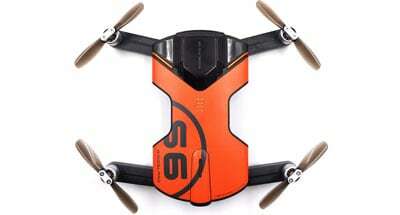 But still, the WIngsland S6 has a couple of aces up its sleeves including its solid obstacle avoidance system. It is not on par with those made by DJI or Yuneec in terms of quality and responsiveness, but it still does the trick appropriately. In addition to this system, Wingsland S6 comes with a high quality 4K camera (13mpx sensor). This is not a surprise considering this little fella is marketed as a selfie drone. So, if we combine its awesome drone camera with its foldable body and decent specs, we will realize why is it marketed at selfie enthusiasts. Those decent specs are decent for a selfie drone, not an all-around drone like the rest of our list. That’s pretty understandable though since Wingsland has roughly 120 meters of flight range along with a battery that lasts up to 10 minutes. These are just fine for taking selfies from time to time without having to worry about crashing it in a wall while doing so. But, if you want a drone that can do more than that, then we recommend one of the below listed ones! DJI Mavic is actually another selfie drone just like the Wingsland S6, but with a huge twist down its tail. You see, even though the Mavic Pro is officially marketed as a foldable selfie drone, it still has quite the specifications that set it aside from the rest of its competition. With its powerful brushless motors, a beautiful design and a plethora of features (all of which we will discuss further down the line), it becomes pretty clear that this is not just a mere selfie drone. It can go as fast as 40 miles per hour (roughly 65km/h) which is much more than any other selfie drone on the market. The same goes for the range. DJI Mavic Pro has 7 kilometers of range (same as the Phantom 4 Pro) while other selfie drones go around 100 to 300 meters (in best case scenarios). When it comes to features, things become even clearer that Mavic Pro is an outstanding drone deserving of its own niche aside from all other selfie drones. With functions such as ActiveTrack, TapFly, obstacle avoidance, navigation systems (both GPS and GLONASS) and a mighty 4K camera, DJI Mavic Pro stands toe to toe with some of the best drones out there. 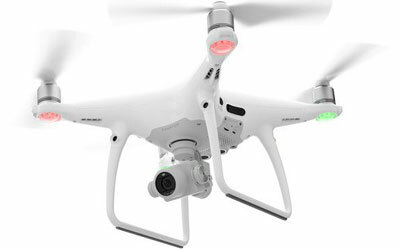 The most popular line of drones, DJI’s Phantom series have just recently gained their 4th installment. As was the case with previous ones, Phantom 4 also got its upgraded version that brags with the Pro suffix. Needless to say, it has a few incremental improvements while the rest of the build is pretty much the same. It still has that awesome 4K camera with amazing image and video quality. 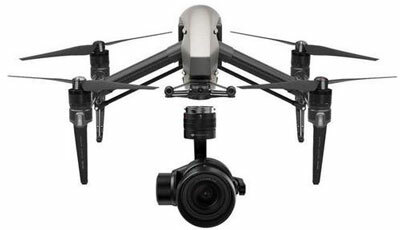 It is no surprise since it is mounted on a state of the art gimbal stabilization system (3-axis, of course) which provides the 20mpx sensor with silk smooth environment for capturing breathtaking aerial moments. As I already mentioned above, Phantom 4 Pro has amazing 7 kilometers of interference-free operating range. This number is outstanding and you definitely won’t need more than that, no matter what you’re doing. The battery is not to be taken for granted either. We are talking about a powerful DJI’s 5870mAh smart battery which can last up to half an hour on a single full charge. But still, they are here and it’s definitely worth to list out some of them: 5 direction obstacle sensing, intelligent flight modes, draw (represents DJI’s brand new waypoints technology), ActiveTrack, TapFly, automatic home return and various gesture modes for easier flight experience. All things considered, I believe it is pretty easy to realize Phantom 4 Pro has everything it needs to keep the Best Consumer-grade Drone throne all to itself! 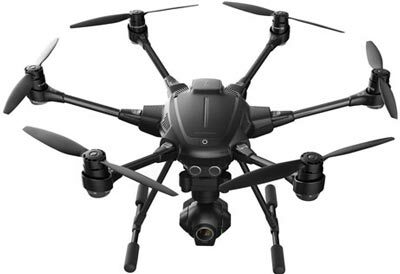 Typhoon H is an incredibly popular drone manufactured by Yuneec. This is the first hexacopter (and the only one) in this list. The main difference between hexactopers and quadcopters (you’ve guessed it) is in the number of rotors (4 and 6). So, with that out of the way, let’s take a closer look at the specifications of this beast. First of all, it is important to mention that this is the very first obstacle avoidance drone made by Yuneec. 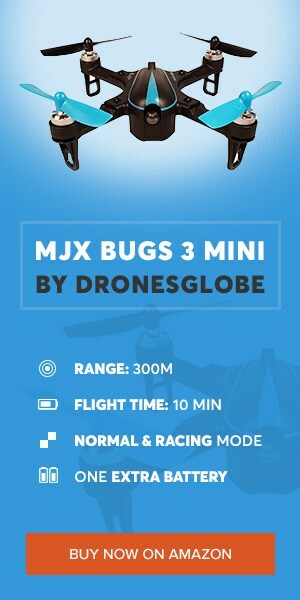 It sports their unique collision avoidance drone system that allows it to fly safe through the air without any worries. In addition to that, the folks over at Yuneec took the safety concerns one step further and implemented a 5 rotor failsafe mode. This means that even if one of its 6 motors stops working properly in the middle of the flight, the drone will still land safely with the remaining 5. Enough about safety, let’s talk more about its features and specifications. The camera is always an important aspect of every drone and you will be happy to find out that Typhoon H sports a high quality 4K one mounted on a 3-axis anti vibration gimbal. When it comes to features, it doesn’t get much better than this – 8 smart flying modes, automatic return to home, auto takeoff and landing… practically no experience is needed in order to operate with this drone. And lastly, the specs sheet – 1,600 meters of fluent operating range and roughly 25 minutes of flight time is just enough to make this drone an awesome purchase to everyone looking for an extremely safe and reliable model. 1. DJI Inspire 2 – best collision avoidance drone? Finally, we have reached the last (or first, depends how you look at it) drone on our list. This spot belongs to another one of DJI’s drones. Now, don’ think this article is sponsored by DJI, because it is not. I don’t even like their drones that much. But still, I also need to say that DJI is the absolute champion on the drones market and they are making that fact quite clear with each new drone that they make… and this is true for DJI Inspire 2 as well. The folks over at DJI are extremely innovative and they are always looking to amaze their customers. When it comes to DJI Inspire 2, they’ve done just that. With professional image quality, efficient workflow systems and a dozen of highly sensitive sensors for various features (including obstacle avoidance, stability, navigation and more), intelligent flight modes and so on, it seems as though DJI Inspire 2 is not a typical consumer grade drone. This is further confirmed just by looking at its price tag which effectively drives away casual consumers and invites professionals. Still, for that massive price, you will get a state of the art drone (which turns into a transformer once it gets up in the air) with high end stabilization and encoding systems that will provide you with class A image and video quality while eliminating the need for manual obstacle avoidance… and that’s just what professionals want and what they are willing to pay so much money for. So, those were the best collision/obstacle avoidance drone currently available on the market. All of them are quite pricey (except the Wingsland S6 which is a black sheep when it comes to pricing of drones with obstacle avoidance) which just proves my point of collision avoidance systems being a relatively expensive piece of drone equipment. Still, they are extremely useful in the long run and will prove to come in handy when you make a mistake or two in the air and ALMOST crash your precious drone into a wall… that’s exactly where collision avoidance systems step in. That’s why people love them! With that being said I will leave you with all information stated above. It’s been a pleasure giving you lots of useful info regarding these drones. In the end, I hope that this list helped you make up your mind and pick the right drone. The Wingsland S6 has NO Obstacle Avoidance !!!!! Didn't read anything about it in the reviews and asked the helpdesk of Wingsland. Unfortunately, the drone itself does not have omnidirectional obstacle avoidance. Originally it was an accessory add one for the S6 but it was only sold in Asia for a brief time and was never brought out in the US. Since there is so much demand for this accessory it just might come back and be brought to the US.